180,000-carat emerald from Brazil. Worth $900 million? Or nothing? Geneva Seal Fine Jewelry & Timepieces in Chicago is intrigued by the case of the 180,000-carat Bahia Emerald from Brazil. 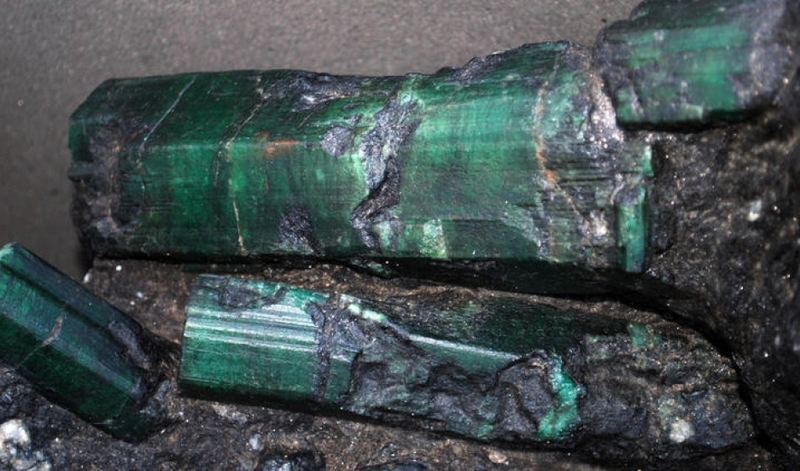 Since 2001, the 840 pound uncut emerald has been the subject of a contentious court battle between a colorful crowd of gem traders, miners and a real estate tycoon all vying for the prized jewel - once valued at $372 million. "It’s been used to prop up a struggling tech company hoping to make it rich on high-definition televisions. It may or may not have been submerged in water during the aftermath of Hurricane Katrina. It is said to have traveled from Brazil to (at least) San Jose, New Orleans and Los Angeles. And that’s why the saga of the Bahia is both fascinating and strange. It's been valued at $900 million." "that the shear size of the crystal and it's exciting story between the trading hands adds a tremendous value. Which in turn, would label the emerald as more of a collectible with a rich and mysterious history. From a gemological standpoint, majority of the emeralds mined from the Bahia region are know for being cloudy and filled with inclusions, typically selling for $10 or less per carat." Michael continues, "depending on what could be fashioned into usable material, I would estimate that the emerald crystal would be worth less than $100,000.00. As a rare specimen with said history, well one can only speculate. Possibly a few million depending who's interested. The multi-million dollar values reported were part of an insurance scam where the owners were using it as collateral to fund a new flat screen TV business." Crazy, yes. Confusing, sure. What we're excited to see is the finished product after this case is closed. Once the ugly chunk of rock is cut, formed and polished by a jeweler. We can only hope something as beautiful as this unique ring centered upon a rare 20 carat mogul hand carved emerald will come out of this 14-year old saga.